I must admit, I'm feeling a fair bit of chagrin at reading this book, or any book of the same vein. I honestly don't know why. Is it the overly girlie cover? A bit rich coming from a blogger who's template screams pink at the moment. The term "sassy"? Or perhaps it's the mild, niggling sense of failure underneath it all? Whatever it is, it's making me extremely uncomfortable. I will, however, concede that this discomfort could be a good thing. Surely the unease can only stem from the fact that I'm facing up and acknowledging things about myself that I need to change? 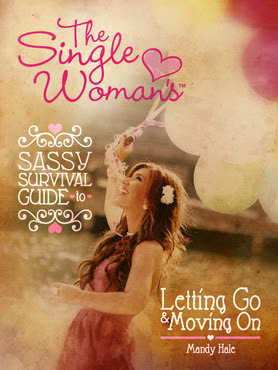 If I look past the author's promise of being my best friend and the "you go, girlfriend" type of encouragements, "The Single Woman's Sassy Survival Guide to Letting Go & Moving On" isn't only a mouthful, it is - at its core - a pretty good guide to getting over your hang ups and getting on with your life. It's not just a how-to-get-over-your-ex book. It talks about accepting the reality of your "stuck" situations - such as settling for a dead-end job, or a friendship that you may have outgrown - and the reasons why it might be a good idea to get out of those situations. Have you read any books that sound similar to this? What did you think of it? Well, I suppose, Bridget Jones' Diary is a similar genre, isn't it? Another such book is Girl Alone. 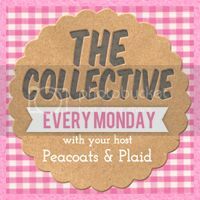 I am new to the Collective Monday Blog Party! Thank you for hosting. 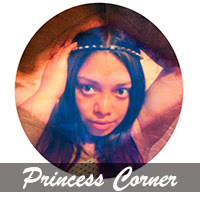 I am one of your newest Google , twitter & pinterest followers . I would love if you could visit me ..
"He's Just Not That Into You" was surprisingly uplifting, despite the title and movie. 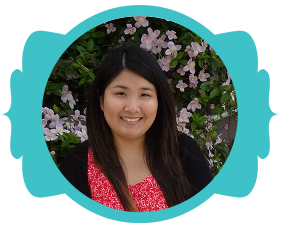 This sounds like a great guide... as a fellow single lady, I can appreciate all the love and encouragement :) Stopping by from the GFC Collective-- thanks so much for co-hosting! I'm looking forward to your updates. Hi Udita, I haven't read Bridget Jones' Diary yet, but Mandy Hale's book is non-fiction. It's more to inspire and give hope :) thanks for dropping by! I read this when it first came out. It was encouraging at the time, but not worth going back for a second read.